There was a time when people bring their printed Bibles to Church, to Bible studies, to conferences, seminars, and Church events. On Sundays, whether they are on public buses, community vans, or personal vehicles, they could be seen carrying a printed book on one hand. Whether they are carrying bulky study Bibles in their colourful hardcovers; large ones in beautiful leather jackets; or pocket-sized ones that can easily fit into a ladies bag; people going to Church were easily recognizable. In Bible study classes, some eager believers would even bring more than one Bible translation. Some carry with them interlinear types while others would have bilingual Bibles to aid their reading. With a Bible, a notepad, and a pen, the individual would be all set to write notes. Times have changed. Instead of printed Bibles, most people carry pocket-sized cell phones. 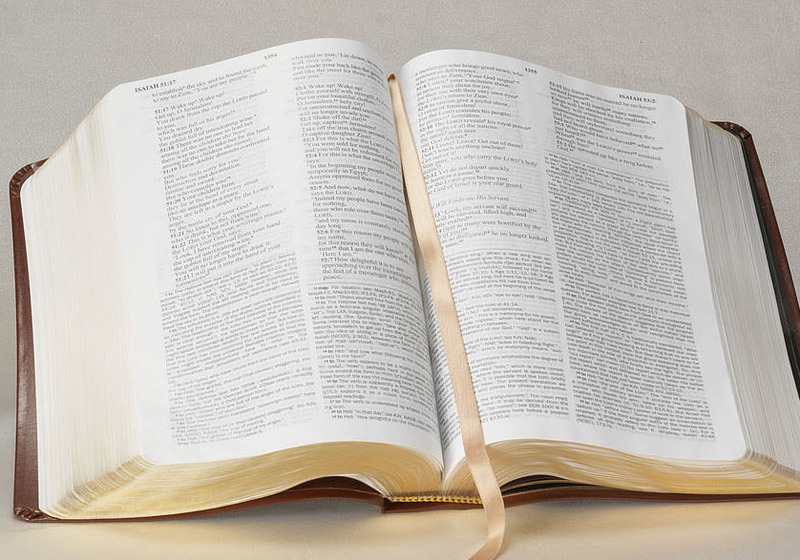 Whether it is an aging palm-sized iPhone 4S or the larger screen Samsung Galaxies; Kindle Fires or the Android 10” tablets; there is a new revolution in the way people read Bibles. With a swish left, they can move forward page, a chapter, or a book. With a swipe right, they can page backward. Using fingers to magnify or to shrink the words, it is a technological wonder on how we have the whole Word in our hands, ready to be manipulated according to our eyes. Sometimes, it seems like the attraction is not the Bible but distractions of other things. Distractions like the brightness and look of the screens. Where is the elusive setting to control brightness? How can the fonts be made a little bigger? What version do I want to open? Which Bible app should I use? There are the free ones like YouBible; the Zondervan BibleGateway app; the Logos Bible app; the Olive Tree Bible; the eBible; the GloBible; etc. Some of these require an active Internet connection in order to browse to our favourite versions. Unless of course, we pay a small fee to download some pretty good electronic Bibles such as the Tecarta (Android/iOS) and the NeuBible (iOS). Meanwhile, the Bible reading progresses from person to person until someone says: “Where are we now?” This person had been lost trying to navigate the Bible on his own tablet. 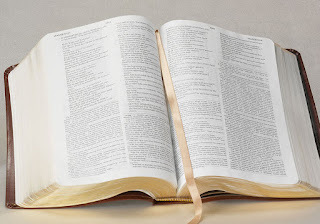 There were times in which I simply pass my own Bible to the person struggling to read from his own phone. There is a change in the way we do Bible studies now. So what I do is to print out the entire passage for the group. Every single person gets the same Bible passage, the same Bible translation, and being on the same page. Literally and metaphorically. Literally, we all have a better following as the person reads the Bible and the rest of us follow accurately the verses read, the pages flipped, and the thoughts synchronized. Metaphorically, we are all following the journey through the same passage and studying the contexts together. Having all on the same page is important for a Bible study environment. If not, we can easily go off tangent on other matters. A careless flip or an innocent tab on our tablets can launch us to a whole new app or page, leaving us behind from the rest of the group. Or when our phones go black to conserve energy, forcing us to look for the power button to get back on track. Worse, when we spend more time trying to navigate our eBibles, we subconsciously lose the train of thought by the person sharing about the Bible verses. Bible study today is no longer the same. The presence of a multitude of devices of all shapes and sizes has complicated the way that we read, study, discuss, and distract. Here are ten reasons why I prefer Bible study members to have printed Bibles before them. First, the page never blacks out. Barring the presence of strong winds from the windows or fans, the Bible that is opened to the page of study remains open. In contrast, depending on our digital devices, there is always a sleep timer or power settings that switches off our screens. With printed Bibles, there is no worry that our batteries will ever run dry. Second, the context is easily visible. Members can easily see the verses before and after the passage of study. This is especially important if we want to study the Bible in context. It reminds us that the passage is just a part of the larger narrative. We can recognize how the chapters before and after the associated passage are linked together. The risk of showing only the passage of study on our small screens is that we easily lose sight of the larger context. Third, there is something sacred about touch. There is a good feel of paper and the written Word. The feeling of holding the Word of God with both hands cannot be easily duplicated by a hand balancing the phone while we use out thumbs to swipe. For instance, when we use our finger to move from word to word on the Bible passage, touch-screens will not leave our intentions alone. If we do the same on our touch screens, the phone vibrates, the tablet triggers a highlight or accidentally launches a totally different app or function. Fourth, I can easily write, highlight, underline, or scribble notes on the side. One of the things I find most helpful is to have the space to jot down thoughts and insights while doing a Bible study. That way, when I come back to the passage next time, I have these markings to remind me about what I have learned previously. Fifth, we will have a more focused discussion. When all of us are reading the same passage in the same translation, using the same medium, it helps us put aside differences in our reading devices and to enable us to focus on the text proper. Many times, individuals who use their own electronic devices fail to follow the main discussion when they are lost about where the verses are in their devices. It is so much easier for the leader to simply say, “Look to the second line from the top of the page,” or something to the same effect to direct eyes to the same verse. It is only when members are on the same page, we will have a more engaging discussion without having to fiddle with apps, different translations, or different mediums. Honestly, a Bible study discussion is not a good time to compare digital apps. Sixth, bookmarking on a printed Bible is so much easier. Frequently, the leader would ask members to cross reference to other passages in the Bible. As we do that, we can easily use a bookmark on our main passage of study before flipping our pages to the associated verses. Once that is done, we can then flip back quickly and continue where we left off. With digital mediums, it is not that straight-forward. The moment we want to compare our main passage with the cross-reference, printed Bibles allow us to flip quickly back and forth easily. Digital Bibles cannot allow us to do the same effectively. Moreover, if we use the Bibles in our phones, we may need to squint our eyes to read the texts. Seventh, we avoid “digital eye strain.” With printed Bibles, we can have extended eye contact with the printed page. With digital screens, there is a good chance of visual discomfort over time. I have heard many eye specialists telling me to look away from computer or digital screens on a regular basis in order to preserve eye health. In the 2014 study, it was found that “office workers who spend significant time in front of computer screens and experience eye strain undergo changes in tear fluid similar to people with dry eye disease, creating a physiological change.” Imagine someone having a long day in the office working with computers, coming to an evening Bible study to be re-exposed to digital screens once again. Nine, we continue to support the Christian publishing houses. For those of us farther down the publishing cycle, we may not be aware of how purchasing a printed book or Bible can do to the ministry of the publishing houses. It is no secret that companies like Amazon are sweeping away the competition. The era of printed books seem to be at the tail end with the rise of the digital revolution. That said, there is still a need for books and printed materials. I have been personally blessed by books that trigger a thought or a moment of discovery. Even today, the ebooks I have on my computers remain as bits and bytes on computers. On my bookshelves are books I have read and are visible enough to remind me of what I have read. Finally, it is a visible witness to the public whenever we carry printed Bibles. People will know that we are believers. With a Bible in hand, we are reminded that we are witnesses for God wherever we go. In contrast, digital Bibles in our phones make us blend in with the rest of the public. Nobody will ever know if we are believers in the first place. Nobody sees us differently. Nobody will ever initiate any talk about our faith. I wonder. If the visible Bible is the light that shines to the world, in sticking only to digital versions, will we be stuffing that light under the pillows of our digital devices? Maybe, or maybe not. Who knows.